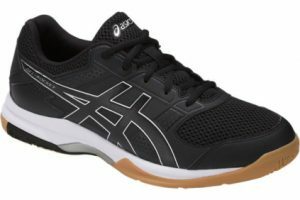 If you’re a fan of volleyball and want volleyball ASICS shoes that you can trust, the Gel Tactic is a great choice. It is designed for amateur and professional women volleyball players and creates a high level of comfort and ankle support. This makes it one of the safest and most effective volleyball shoes currently on the market. Those who are interested in learning more about this high-quality shoe should read on to discover its many benefits. While it’s by no means a perfect shoe, the pros easily outweigh the cons and make this a great choice for any women who loves volleyball and wants to play as much as possible. The Gel Tactic is made out of synthetic imported material that comes in multiple colors, including blue and red. It is built out of comfortable synthetic leather and accentuated with an air mesh. This mesh is not just for decoration: it offers a smooth airflow that makes it not only more comfortable, but cooler in high energy situations and decreases the level of foot smell it generates. A high-quality toe guard helps protect your foot from harm during games, such as getting stepped on by a jumping teammate. The sole has been designed to provide extra grip and easier pivoting, providing you with the kind of speed and jump that you need for successful spikes and blocks. As the Gel Tactic is designed for volleyball use, it has a variety of great features that make it suitable for this exciting sport. For example, it has a Rearfoot Gel Cushioning system that helps keep your feet comfortable in the toughest volleyball situations. Comfort is key to success on the volleyball court, as it protects your feet from strain and injuries. One danger of volleyball play is rolling your ankle and either spraining or breaking it. 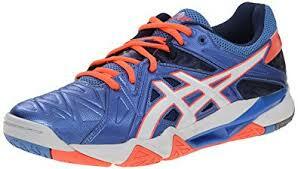 Thankfully, the Gel Tactic volleyball ASICS shoe features the patented Trusstic System. This is installed in the mid-foot area to provide extra stability. This makes it easier to jump, land, pivot, and run without suffering from damage to your feet by reducing the weight on the sole. 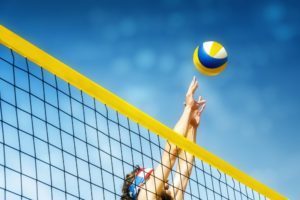 Just how safe are the Gel Tactic for volleyball? They were good enough to receive the American Podiatric Medical Association Seal of Acceptance. This means they are not only suitable for use on the volleyball court but also actively promote stronger foot health and a more stable and protected playing environment. Beyond these safety features are a variety of performance-enhancing items that will improve your game. For example, the NC Rubber outsole is made from a high level of natural rubber that gives it a higher level of traction on the court. This helps you react to on-the-court situations with ease, providing greater lift-off and quicker acceleration. Can It Be Used By Non-Volleyball Players? 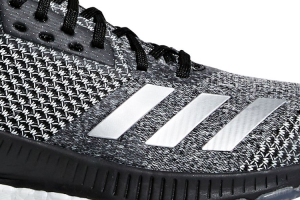 While the Gel Tactic shoe is generally a volleyball shoe, it isn’t limited to this sport. Typically, though, it’s best to use it indoors, rather than for outdoor sports. If you are suddenly pressed by the desire to jog down a rarely-used paved road, they can work for short distances, especially if you avoid dirty or non-paved areas. That said, they shouldn’t be used for long-distance running. While your feet won’t suffer from damage, the Gel Tactic is simply not designed for that kind of wear. They are suitable for more short-distance wear-and-tear or for use in high-intensity sports, like volleyball. As a result, they can be adapted to many types of indoor gym sports. For example, they are great for indoor track events, such as sprinting. However, hurdlers often experience major benefits from this shoe, as its special design helps promote better jumping. In a pinch, they can be useful practice shoes for basketball players. That said, serious basketball action should be avoided, as this can cause a little too much wear on the Gel Tactic. 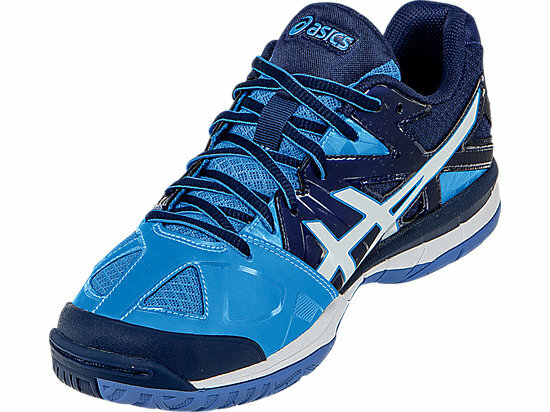 Volleyball ASICS shoes are designed to be sturdy and easy to clean. 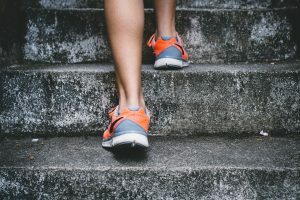 While you typically won’t be wearing these women volleyball shoes outdoors, gym floors can still cause scuffs and other marks that could build up over time and even contribute to serious exterior damage. That’s why you need to regularly perform these simple care and cleaning procedures. Start by taking off the Gel Tactic after you’re done with your volleyball game and changing into your street shoes. Inspect the surface for scuffs and other marks of damage and assess their severity. Rub your hand across the surface to press damaged areas back into place. A shoe repair kit can help restore the structural integrity of the Gel Tactic quickly and easily. To clean your shoe (and avoid exterior marks and interior smells), scrub the surface with a toothbrush soaked in warm water and anti-grease soap. Scrub very lightly with the toothbrush and never press, as this can damage the surface. Remove the sole and hand wash it in a pot of soapy water to eliminate smells. Scrub the interior with a wash rag and dry by stuffing paper towels inside and letting them soak up the water. Never put your Gel Tactic volleyball ASICS shoes in a washing machine or dryer. Excessive heat and water can cause severe damage and warping, destroying their structural integrity and making them worthless for volleyball. The best way to find a pair of these shoes is purchasing them from an online store, like Amazon. They currently have 4.1 out of 5 stars with 78% four stars or higher, and 5% one star. Many reviewers have commented the fit of the shoe is perfect, while a few have issues with the width. As with any shoe if you normally run a little bigger you may want to think about the size you order. The cost of the shoe is between $40 and $100, depending on the style you purchase.